Day Tour to The Egyptian Museum and Pyramids from Port Said , upon your arrival to Cairo you will visit the Egyptian Museum which has Tutankhamen treasures. After that you will visit the Citadel of Saladin and Mohammed Ali Alabaster Mosque, finally you will be escorted by your tour guide to Port said for the final departure. 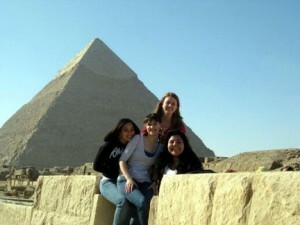 We hope that you will enjoy your Day Tour to Cairo from Port Said Port.